NOTE The dance is really two dances each of 32 bars. Bars 9-24 of each dance are similar. 1st couple dance the first part with 2nd and 3rd couples and the second part with 3rd and 4th couples. Either part could be danced separately as a normal 8 X 32 bar dance. The reason for this unusual structure is that the tune contains 64 bars and it was thought that this arrangement would make it less tiring for the dancers than an 8 X 64 bar dance. In the half right and left on the diagonal it is essential for the dancers to be in the side lines before changing places with the left hand to leave the centre of the set free for the other dancers. Added on: Feb. 21, 2016, 5:14 p.m.
Added on: June 3, 2016, 2:18 p.m.
Added on: Nov. 1, 2014, 1:10 p.m.
Budapest Local Club 09.10.2014 2014-10-09 Zoltán Gräff Oct. 9, 2014, 9:46 p.m.
RSCDS Leicester Class - 15 Mar 2108 2018-03-15 Margaret Spence Feb. 20, 2018, 6:53 p.m.
Waltham weekly 2018-10-25 2018-10-25 John Aitken Oct. 21, 2018, 10:31 p.m.
RSCDS Leicester Class - 8 Nov 2018 2018-11-08 Margaret Spence Oct. 31, 2018, 3:37 p.m.
Waltham weekly 2019-02-07 2019-02-07 John Aitken Feb. 1, 2019, 9:51 p.m.
Waltham weekly 2018-02-22 2018-02-22 John Aitken Feb. 17, 2018, 12:49 p.m.
Alison's Programme - 28 February 2017-02-28 Joy Scott Feb. 14, 2017, 12:05 p.m.
Essex Caledonian Ball 2015 2015-04-25 David Ambrose Nov. 13, 2014, 11:25 a.m.
Praia da Rocha, Algarve - Dance Holiday - Day 5, Wednesday 28 Febuary 2018 2018-02-28 Keith Rose Jan. 15, 2018, 6:54 p.m.
Abingdon 11 June 2018 2018-06-11 Sandra McLevy June 11, 2018, 8:07 p.m. The Sunday Class St Andrew's Dance 2014.11.30 2014-11-30 Sheila Lewins Nov. 5, 2014, 7:41 p.m.
Rhein-Main-Mini-Social, 12. September 2014 (MZ) 2014-09-12 Anselm Lingnau July 23, 2014, 9:57 a.m.
Rhein-Main-Mini-Social, 7. Oktober 2014 (F) 2014-10-07 Anselm Lingnau Sept. 14, 2014, 12:53 p.m.
RSCDS Falkirk 2015 Crieff Hydro - Saturday Craig Skinner Feb. 19, 2015, 5:52 p.m.
Linlithgow SCDC 26 October 2018 2018-10-26 John Watkins Oct. 18, 2018, 6:16 p.m.
Linlithgow SCDC 02 Nov 2018 2018-11-02 John Watkins Oct. 18, 2018, 6:22 p.m.
Atholl SCDC Week 29 Sheena`s Programme 16/04/19 Website:-www.athollscdc.co.uk/ 2019-04-16 Brian Martin March 9, 2019, 9:49 p.m.
17 10 28 Brighton Branch Halloween 2017-10-28 Chris Pratt June 19, 2017, 8:44 p.m.
Benalmadena Mon 25 Feb 2019 2019-02-25 John Aitken Aug. 15, 2018, 11:56 p.m.
RSCDS Falkirk 2016 Crieff Hydro - Saturday 2016-01-16 Craig Skinner Sept. 2, 2015, 7:18 p.m.
Atholl SCDC Week 07 Graham & Sylvia`s Programme 30/10/18 Website:-www.athollscdc.co.uk/ 2018-10-30 Brian Martin Sept. 26, 2018, 1:45 p.m.
Duddingston 12 January 2017 2017-01-12 John Watkins Jan. 7, 2017, 10:15 a.m.
2018 SEHSCDS Summer Dance 2018-06-09 Dance ForFun April 19, 2018, 9:23 p.m.
Hogmanay Dance Tuesday 29 December 2015 2014-10-18 Irene Dracup Nov. 23, 2015, 9:01 p.m.
Budapest Local Club 26.11.2015 2015-11-26 Zoltán Gräff Nov. 26, 2015, 9:35 p.m.
RSCDS Falkirk 2017 Crieff Hydro - Friday 2017-01-20 Craig Skinner Aug. 13, 2016, 6:52 p.m.
Duddingston 19 January 2017 2017-01-19 John Watkins Jan. 14, 2017, 3:20 p.m.
17 11 25 Hastings 2017-11-25 Chris Pratt Sept. 24, 2017, 8:08 p.m.
Wallasey Caledonian Society President’s Night Thursday 14th April 2016 2016-04-14 Andrew Locke March 8, 2016, 3:57 p.m.
RSCDS Falkirk 2018 Crieff Hydro - Saturday 2018-01-20 Craig Skinner Aug. 23, 2017, 2:35 p.m.
SWS 2018 Video Possibilities Margaret Chambers Oct. 30, 2018, 5:25 p.m.
Aberdour SCD 2016 Christmas Party 2016-12-14 Bill O'Donnell Dec. 12, 2016, 4:32 p.m.
Abingdon Class 8 April 2019 2019-04-08 Sandra McLevy April 9, 2019, 12:56 a.m.
Atholl SCDC Week 28 Brian`s Programme 09/04/19 Website:-www.athollscdc.co.uk/ 2019-04-09 Brian Martin March 27, 2019, 5:21 p.m.
19 04 13 Hastings 2019-04-13 Chris Pratt Feb. 10, 2019, 4:39 p.m.
Lochaber Scottish Dancers Party 2018-06-29 Sandra McLevy June 6, 2018, 11:12 a.m.
RSCDS Wirral - Tuesday 26 April 2016 2016-04-26 Andrew Locke April 24, 2016, 10:54 p.m.
Harrogate 2017 Thursday 6 april 2017-04-05 Elmer de Jong March 11, 2017, 10:35 p.m. Dancing &Walking Hols. Morecambe. Thursday evening 19/11/15 2015-11-19 alan poh Nov. 13, 2015, 1:47 p.m.
Waltham weekly 2019-04-04 2019-04-04 John Aitken March 31, 2019, 9:22 p.m.
Waltham weekly: 2019-03-28 2019-03-28 John Aitken March 24, 2019, 12:24 p.m. 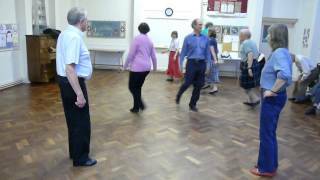 Dancing & Walking Holidays Llandudno. Thursday evening. 2018-09-27 alan poh Sept. 23, 2018, 1:30 a.m.
Wrexham End of Season Dance 2014 Anne MacDonald May 4, 2014, 12:23 p.m.
Newark May Social 29 May 2018 2018-05-29 John Aitken May 27, 2018, 9:42 a.m.
Morlands 2019-05-28 2019-05-28 John Aitken Feb. 16, 2019, 6:07 p.m. Dancing & Walking Holidays Harrogate Thursday evening 14/03/19 2019-03-14 alan poh March 10, 2019, 2:45 p.m.
TSC Sorrento Week 2 2017-03-25 (Saturday) 2017-03-25 Amanda Peart Jan. 15, 2017, 9:06 p.m.
ADW 9.3.18 2018-03-09 Elizabeth Gull March 7, 2018, 11:20 a.m.
14 10 25 Hastings 2014-10-25 Chris Pratt Sept. 23, 2014, 3:56 p.m.
Waltham weekly 2019-03-21 2019-03-21 John Aitken March 15, 2019, 10:03 a.m.
RSCDS Leicester Class Social - 21 Feb 2019 2019-02-21 Margaret Spence Feb. 15, 2019, 7:09 p.m.
Norwich RSCDS 60th Anniversay Ball 2016-03-19 Stuart Kreloff April 10, 2016, 9:43 p.m.
Charity dance Nantwich Civic Hall 4 July 2016 2016-04-13 lesley rex April 13, 2016, 7:44 p.m.
Waltham weekly 2019-01-03 2019-01-03 John Aitken Dec. 28, 2018, 6:32 p.m.
Epping Forest Scottish Association Christmas Dance 2016 - 17 December 2016 2016-12-17 Stuart Kreloff Dec. 15, 2016, 1:44 p.m.
Torphins 07Dec2018 2018-12-07 Mark Hagger Oct. 14, 2018, 1:45 p.m.
Special Requests Vol 7 David Connolly Jan. 20, 2012, 2:06 p.m.
Waltham weekly 2018-02-15 2018-02-15 John Aitken Feb. 12, 2018, 5:17 p.m.
RSCDS Leicester Class - 1 Mar 2018 2018-03-08 Margaret Spence Feb. 20, 2018, 6:47 p.m.
Waltham weekly 2018-03-01 2018-03-01 John Aitken Feb. 25, 2018, 12:18 p.m.
RSCDS Leicester Class - 7 Jun 2018 2018-06-07 Margaret Spence May 3, 2018, 7:35 p.m.
Richmond ~ 181114 Dance 2018-11-14 James Wilson Nov. 9, 2018, 11:15 a.m.
Waltham weekly 2018-03-08 2018-03-08 John Aitken March 3, 2018, 12:26 a.m.
Rhein-Main-Mini-Social, 7. Juli 2014 (DA) 2014-07-07 Anselm Lingnau June 13, 2014, 9:02 a.m.
Leeds - St Columba's Hogmanay Dance 30 Dec 2014 2014-12-30 Irene Dracup Sept. 4, 2014, 8:13 p.m.
17 03 25 Bognor Regis 2017-03-25 Chris Pratt Dec. 3, 2016, 9:49 p.m.
RSCDS Leicester Class - 18 October 2018 2018-10-18 Margaret Spence Sept. 1, 2018, 8:18 p.m.
RSCDS Falkirk 2016 Xmas Dance 2016-12-13 Craig Skinner Aug. 19, 2017, 3:42 p.m.
Trinity SCDC Edinburgh 2018/04/21 2018-04-21 Daniel Hintermann March 16, 2018, 10:29 a.m.
Abingdon Class 15 April 2019 2019-04-15 Sandra McLevy April 16, 2019, 8:12 a.m.
Waltham Annual Dance 27 Oct 2018 2018-10-27 John Aitken June 10, 2018, 11:50 p.m.
Abingdon Class 13 November 17 2017-11-13 Sandra McLevy Nov. 13, 2017, 4:42 p.m.
Ipswich Christmas Dance 2015-12-12 David Ambrose Dec. 2, 2015, 11:51 a.m.
Hogmany Dance 29 December 2017 2014-09-27 Irene Dracup Oct. 16, 2017, 10:40 a.m.
Northwich Burns' Night - Sat 23 Jan 2016 2016-01-23 Christine Grove Nov. 15, 2015, 2:14 p.m.
Silver Cross November 2018-11-03 Lesley Cashell Oct. 9, 2018, 7:58 p.m.
Duddingston 01 Nov 2018 2018-11-01 John Watkins Oct. 27, 2018, 11:17 a.m.
Richmond Caledonian Society X'mas 2018 Dance 2018-12-19 alan poh Dec. 15, 2018, 2:51 p.m.
Epping Forest Scottish Association Christmas Dance 2015 - 19 December 2015 2015-12-19 Stuart Kreloff Dec. 6, 2015, 9:45 p.m.
Bristol 2018 New Season Dance 2018-10-13 Margaret Chambers Sept. 18, 2018, 12:49 p.m.
RSCDS Leicester Annual Ball - 10 November 2018 2018-11-10 Margaret Spence Sept. 17, 2018, 8:42 a.m.
Hayes_Ball_UB100EJ_SwakelySchool 7.30..11.30 2016-11-12 Matthew Goulden Nov. 10, 2016, 12:54 p.m.
Cambridge Scottish Society, Annual Ball 2015-05-02 Roger Few April 23, 2015, 1:29 p.m.
15 09 26 Eastbourne 2015-09-26 Chris Pratt April 18, 2015, 5:07 p.m.
Wallasey Caledonian Society Presidents' Night 2015 2015-04-16 Andrew Locke March 26, 2015, 10:32 p.m.
Coupar Angus with Frank Thomson 2015-08-07 Kate Kinnear Aug. 5, 2015, 12:26 p.m.
Stirling - Bridge of Allan - 2018-08-18 2018-08-18 Verl Girl Aug. 8, 2018, 6:11 p.m.
TSC in Evora 9th March 2018 2018-03-09 Amanda Peart Nov. 23, 2017, 3:36 p.m.
Darlington Scottish Country Dancers Christmas Social 2017-12-18 Louise Macdougall Dec. 7, 2017, 12:04 p.m.
West Derby Presidents Evening 2016 2016-03-07 Andrew Locke Feb. 11, 2016, 12:03 a.m.
RSCDS New York Branch March 17th 2016 2016-03-17 Sue Ronald March 15, 2016, 4:21 p.m.
Newark weekly 2018-02-20 2018-02-20 John Aitken Jan. 4, 2019, 10:04 a.m.
Waltham weekly 2019-04-25 2019-04-25 John Aitken April 19, 2019, 9:08 a.m.
18 11 24 Hastings 2018-11-24 Chris Pratt Sept. 30, 2018, 5:04 p.m.
Richmond ~ 181219 Dance 2018-12-19 James Wilson Dec. 6, 2018, 2:28 p.m. Dancing & Walking Holidays Gt. Malvern. Tuesday evening 2018-10-09 alan poh Oct. 5, 2018, 3:56 p.m.
Alva 090818 F Thomson 2018-08-09 Mary Cant July 28, 2018, 3:18 p.m.
Duddingston 25 May 2017 2017-05-25 John Watkins May 19, 2017, 8:10 p.m.
RSCDS New York Branch March 24th 2016 Sue Ronald March 22, 2016, 5:06 p.m.
Alva with George Meikle 2016 2016-06-16 Kate Kinnear June 9, 2016, 11:43 p.m.
A F Smith 2018-05-19 Andrew Smith May 19, 2018, 12:21 p.m.
ISCDC 12th March 2015 2015-03-12 Richard Dover March 9, 2015, 11:23 a.m.
Leeds Club dance 8 November 2014 2014-11-08 Irene Dracup Oct. 30, 2014, 10:37 a.m.
TSC in Madeira (Band Week) 27-02-19 2019-02-27 Amanda Peart Nov. 9, 2018, 10:05 p.m.
RSCDS Birmingham Autumn Ball 2013 Nicola Scott Aug. 28, 2013, 3:04 p.m.
LHC_Pont_Street to Marian Anderson 2015-06-06 Matthew Goulden June 6, 2015, 4:33 p.m.
London Highland Club Autumn dance 6Oct18 2018-10-06 Joan Blake Oct. 4, 2018, 5:15 p.m.
Waltham Spring Dance 2019 2019-03-09 John Aitken Jan. 9, 2019, 12:33 p.m.
LHC Annual Ball 3/2/2018 2018-01-31 alan poh Jan. 31, 2018, 12:15 p.m.
15 11 28 Brighton & Hove Scottish Assn 2015-11-28 Chris Pratt Oct. 10, 2015, 4:02 p.m.
West MACs Ball 2017 2017-04-01 Graham Hamilton March 12, 2017, 10:20 p.m.
Impington, cambs, cb249lx, 7.30-11.30 2018-05-05 Matthew Goulden April 30, 2018, 5:23 p.m.
Newark Social 2017-05-09 2017-05-09 John Aitken May 8, 2017, 12:09 p.m.
Waltham weekly 2017-11-30 2017-11-30 John Aitken Jan. 1, 2018, 5:46 p.m.
Stirling Xmas 2016 with N McLaren 2016-11-16 Kate Kinnear Nov. 27, 2016, 5:41 p.m.
15 10 10 Goring 2015-10-10 Chris Pratt Aug. 2, 2015, 8:52 p.m.
Trinity SCD Club Edinburgh 2017/01/28 Marian Anderson 2017-01-28 Daniel Hintermann Jan. 24, 2017, 11:42 a.m.
St Columba's Hogmanay Dance Wednesday 28 December 2016 2015-01-24 Irene Dracup Oct. 24, 2016, 9:23 p.m.
Twin Cities Grand Ball 2019 2019-04-13 Lara Friedman-Shedlov Feb. 17, 2019, 11:05 p.m.
17 04 08 Hastings 2017-04-08 Maddy Coelho Feb. 8, 2017, 4:47 p.m.
15 10 24 Hastings 2015-10-24 Maddy Coelho Sept. 13, 2015, 12:07 p.m.
RSCDS Falkirk 2014 Clackmannanshire Joint Dance Craig Skinner March 12, 2014, 1:52 p.m.
161216 RSCDS Stirling N McLaren 2016-12-16 Kate Kinnear Dec. 11, 2016, 12:57 p.m.
15 12 05 SASS AGM 2015-12-05 Chris Pratt Nov. 1, 2015, 12:39 p.m.
16 05 07 Tartan Ball Brighton&Hove 2016-05-07 Chris Pratt Feb. 23, 2016, 4:23 p.m.
17 01 28 Brighton and Hove Burns 2017-01-28 Chris Pratt Nov. 20, 2016, 10:05 p.m.
TSC Sorrento Week 1 2017-03-11 (Saturday) 2017-03-11 Amanda Peart Jan. 5, 2017, 1:08 p.m.
Trinity 13 Apr 19 - Gary Donaldson (Fairmilehead) 2019-04-13 Bill Austin April 7, 2019, 7:57 a.m.
Leicester RSCDS Thursday Class Social - 25 Oct 2018 2018-10-25 Margaret Spence Oct. 20, 2018, 10:06 a.m.
RSCDS Falkirk 2015 Clackmannanshire Joint Dance 2015-05-29 Craig Skinner March 6, 2015, 7:34 a.m.
Notttingham RSCDS Social dance 2019-03-16 Elizabeth Gull Sept. 28, 2018, 12:19 p.m.
19 02 23 Brighton and Hove 2019-02-23 Chris Pratt Jan. 1, 2019, 1:39 p.m.
2018 SEHSCDS November Ball practice 2018-11-09 Dance ForFun Aug. 27, 2018, 8:28 p.m.
Ipswich Anglo Scottish Society - Saturday 20th December Dance 2015 2014-12-20 David Ambrose Nov. 17, 2014, 1:33 a.m.
2018 Clackmananshire dance 2018-05-25 Atsuko Clement May 24, 2018, 6:53 p.m.
Chiswick - 3 March 2019 (orig) 2019-03-03 James Wilson March 5, 2019, 7:29 p.m.
20170128 - Trinity Club 2017-01-28 Zsofia Jozsef Jan. 24, 2017, 11:24 a.m.
East Midlands Cyprus Holiday - Day 6 - Sat 18 Feb 2017 2016-11-18 Keith Rose Nov. 12, 2016, 12:10 p.m.
RSCDS Cheshire Visitors Night 2013 Christine Grove March 7, 2013, 1:13 a.m.
Linlithgow SCDC 09 November 2018 2018-11-09 John Watkins Sept. 9, 2018, 1:09 p.m. 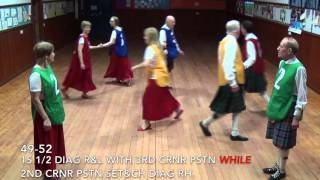 The Glencraig Scottish Dance Band - Ah'm Askin' Cord Walter May 18, 2015, 12:11 a.m. 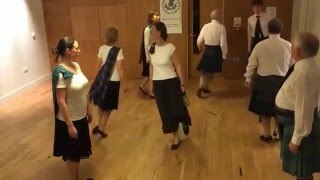 Dancing Holiday Club 19 04 2014 2019-04-14 Chris Pratt Sept. 5, 2015, 7:26 a.m.
RSCDS Falkirk 2018 Clackmannanshire Joint Dance 2018-05-25 Craig Skinner April 10, 2018, 6:43 p.m.
Northwich President's Night - Sat 12 Nov 2016 2016-11-12 Christine Grove Aug. 31, 2016, 2:12 p.m.
Ericht with Frank Thomson 2016-09-23 Kate Kinnear Sept. 22, 2016, 1:52 p.m.
Leeds Scottish Country Dance Club 27 April 2019 2015-12-14 Irene Dracup March 14, 2019, 2:51 p.m.
Wrexham End of Season Dance 2018 Andrew Locke March 3, 2018, 4:53 p.m.
Waltham weekly 2018-09-06 2018-09-06 John Aitken Sept. 2, 2018, 12:43 p.m.
SWS 2018 2018-01-01 Margaret Chambers July 19, 2018, 12:09 p.m.
18 04 28 SASS Mannings Heath 2018-04-28 Chris Pratt Jan. 16, 2018, 10:18 p.m.
Castle Club with Jim Lindsay 171111 2017-11-11 Kate Kinnear Oct. 13, 2017, 3:25 p.m.
19 01 12 SASS at Moulsecoomb 2019-01-12 Chris Pratt Oct. 28, 2018, 12:48 p.m.
20170615 - Alva Summer Dance 2017-06-15 Zsofia Jozsef June 13, 2017, 9:10 p.m.
RSCDS Nottingham Annual Dance 20.5.2017 2017-05-20 Elizabeth Gull Sept. 26, 2016, 5:24 p.m.
Richmond Spring Dance 2019 2019-03-23 Simon Stewart Jan. 2, 2019, 7:49 p.m.
Lancs & Cheshire Federation Ball 2015 2015-11-21 Andrew Locke Nov. 8, 2015, 8:34 p.m. The Sunday Class St Andrew's Dance 2015-11-29 2015-11-29 Sheila Lewins Oct. 8, 2015, 6:35 p.m.
14 11 15 Brighton RSCDS 2014-11-15 Chris Pratt Sept. 23, 2014, 6:49 p.m.
Richmond Caledonian Society 80th Anniversary Ball 2017 - 18 February 2017 2017-02-18 Stuart Kreloff Jan. 10, 2017, 10:29 p.m.
17 02 11 Cuckfield 2017-02-11 Chris Pratt Dec. 11, 2016, 8:31 p.m.
Essex Caledonian Ball 2017 2017-04-01 David Ambrose Nov. 25, 2016, 12:37 p.m.
Gill's Ashdown Spring Ball 050414 2005-04-14 Gill Cameron-Waller April 4, 2014, 9:27 p.m.
RSCDS Dumfries branch Summer dance, Locharbriggs Community Centre 2016-06-17 John Riddet March 20, 2016, 11:23 p.m.
Chester St Andrew Society end of year dance 2016 2016-12-29 Andrew Locke Dec. 11, 2016, 6:30 p.m.
Sandbach & District Caledonian Society Highland Ball 2016 2016-04-16 Andrew Locke April 7, 2016, 11:47 a.m.
Banchory SCD 40th Anniversary Dance 2019-03-22 Eric Ferguson March 9, 2019, 1:08 a.m.
180801 w3 Wednesday - Carnoustie SCD Club - Summer Dance - Beach Hall 2018-08-01 Martina Mueller-Franz May 8, 2018, 4:12 p.m.
16 04 09 Hastings 2016-04-09 Chris Pratt Feb. 6, 2016, 1:10 p.m.
Chiswick - 18 November 2018 (orig) 2018-11-18 James Wilson Nov. 19, 2018, 3:57 p.m.
Ipswich Hogmaney 2015 2015-12-31 David Ambrose Dec. 14, 2015, 1:17 p.m.
Harrogate 2015 2015-03-09 Truus de Ceuster Feb. 18, 2015, 7:26 p.m.
Torquay 2014 Truus de Ceuster Feb. 18, 2014, 7:07 p.m.
Great Malvern 2016 - evenings Truus de Ceuster Aug. 28, 2016, 11:01 p.m.